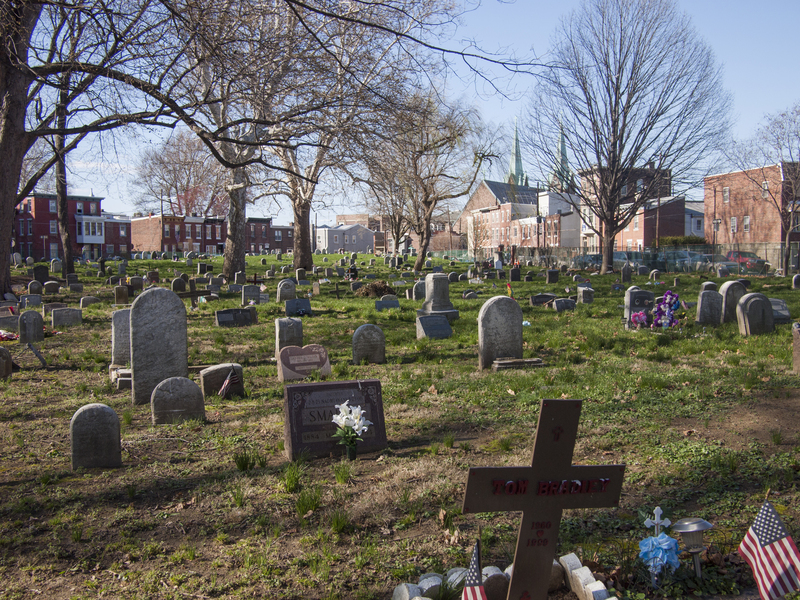 Having lived right around the corner from this cemetery for a year, it only took me five years of living in Philadelphia to explore Palmer. 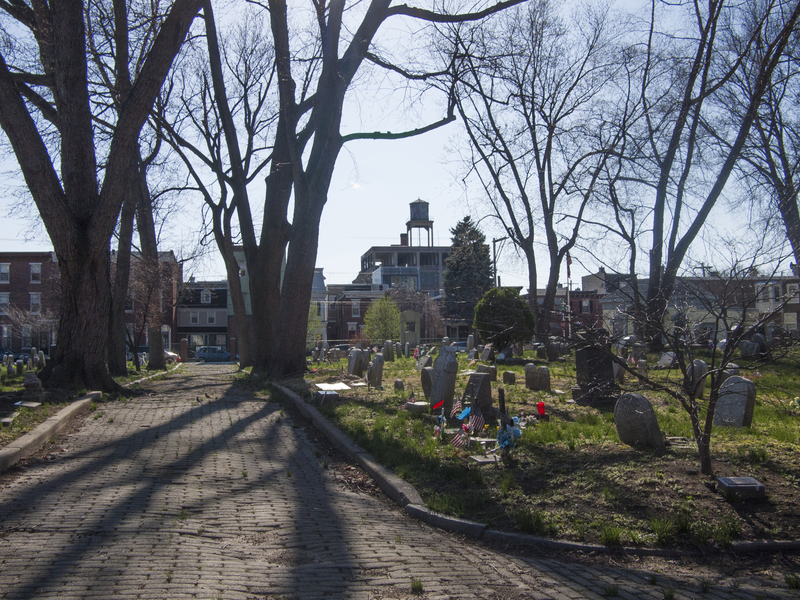 The Palmer Cemetery, established in the 1760s, is still an active cemetery and offers free burials to Fishtown residents, 11 April 2015.
Who knows how much longer this view will remain? The twin spires of St. Laurentius viewed from the East corner of Palmer Cemetery, 11 April 2015. 28 Apr	This entry was published on April 28, 2015 at 7:30 am and is filed under Fishtown. Bookmark the permalink. Follow any comments here with the RSS feed for this post.